And so in your reverie, in between staring at a blank computer screen and yelling at your children to turn down the damn Xbox, you Google and you Google hard. You search for the best writer’s retreats and conferences and festivals you can find, and then spend the next hour checking the balances on your credit cards. Well, I’m here to save you a little time. Below you’ll find a selection of gatherings and retreats that might just satisfy your wonderlust while inspiring you to write. 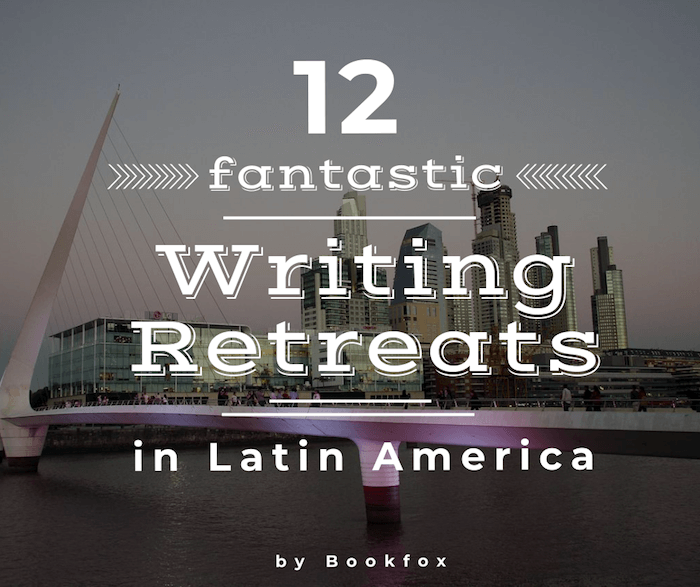 Many people go to Mexico for its pristine beaches and seaside resorts, but you’re a writer and it’s very likely that piña coladas and cabana boys alone aren’t enough to satisfy your muse. Mexico has a rich literary tradition as evidenced by the work of such writers as Juan Rulfo, Juan José Arreola, Francisco Hinojosa and Carlos Fuentes as well as an impressive roster of women writers that includes Rosario Castellanos, Inés Arredondo, Amparo Dávila, Elena Poniatowska. 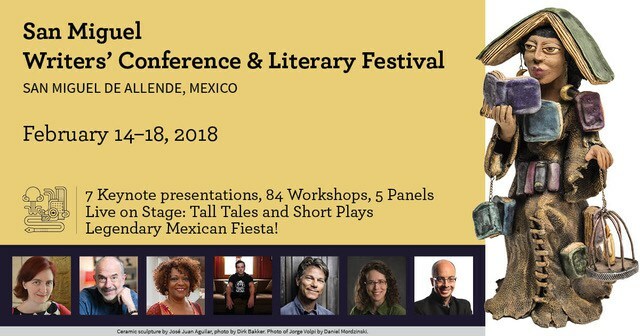 Mexico’s literary community continues to thrive, its contemporary poets, writers, and literary activists featured in many of the festivals and conferences mentioned below. And if you’re a writer in search of alternatives to umbrella drinks and the spring-break-esque debauchery that some of you are wont to engage in (in the name of research, of course), consider attending a festival, conference or writer’s retreat in this diverse and enchanting country. Founded 30 years ago at the University of Guadalajara, the festival is the second largest gathering of writers and artists in the world and is considered the most important convening of Spanish-language authors, agents, artists and publishers. Literature is the main focus of this culture and arts festival that lasts 9 days beginning in November. Location: Guadalajara, Jalisco, México. My thoughts: The event is enormous. I’m imagining AWP on steroids, but with much better food and mariachis. I recommend this event for anyone who loves lots of stimuli and is interested in networking with international agents and publishers. It’s also a great opportunity to explore a less-U.S.-centric literary scene, never a bad thing. 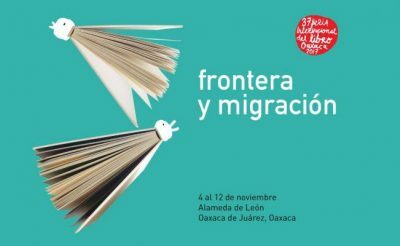 FILOaxaca is a 10-day literary festival in November that elects a new theme each year. In 2018, writers and artists will convene to celebrate and contemplate borders and migration and the ways in which human beings transcend mental and physical limitations. Though literature is its focus, the festival offers a concert series and art exhibits in addition to writing workshops. Location: Oaxaca de Juárez, Oaxaca. Recommendation: Go! If I had a private jet, I would hopscotch the world to visit festivals like this one. 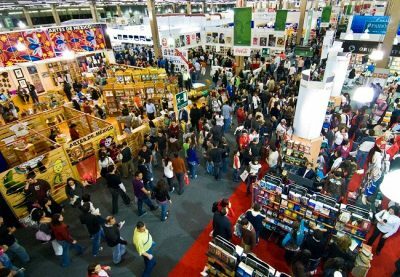 Unlike the Guadalajara International Book Fair, this festival is narrower in scope. The focus on themes, both political and artistic, speaks to the long tradition of activism in the region and I’m always interested in delving deeper into the culture and history of a place when I’m traveling. 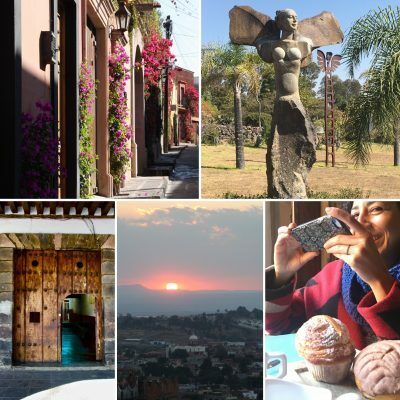 This writing conference happens every year in February and takes place in the picturesque, colonial town of San Miguel de Allende, a UNESCO World Heritage site with a dynamic literary and arts scene. The conference offers hundreds of workshops for writers at every level as well as 15 master classes. Past keynote speakers have included authors Joyce Carol Oates, Mary Karr, Scott Turow, Sandra Cisneros, and Alice Walker. Location: San Miguel de Allende, Guanajuato, México. 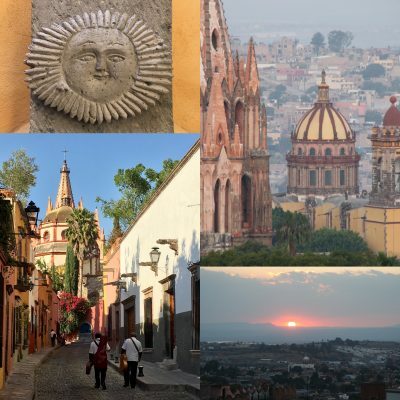 My take: Among the many reasons to visit San Miguel de Allende–a beautiful pueblo in the foothills of the Bajio mountains of Central Mexico–is this literary conference. The line up of keynote speakers and workshop leaders is always excellent and there is ample opportunity to meet agents and network with other writers. Each year, conference organizers run a contest in poetry, fiction, nonfiction and Spanish short story. The winners attend the conference free of charge, receive free lodging, an opportunity to pitch to an agent and possible publication on the conference website. Intended for professional writers, this retreat offers master classes, manuscript consultations, and extended residencies each January. Admittance is by application only. Fees are based on modular programming and do not include accommodations. Past faculty includes Elena Poniatowska, Francisco Goldman, Jennifer Clement and Grace Paley. Location: Tepoztlán, Mexico. 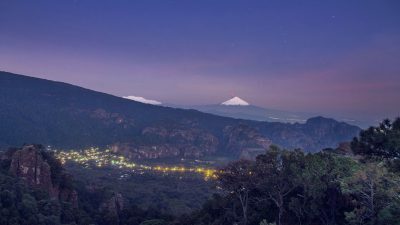 What I really feel: Though I generally fear mountains–especially ones known to spew hot molten rock–I would push my worries aside to attend Under the Volcano. The workshops look intensive and there are opportunities to receive substantive feedback on works-in-progress. The excellent faculty is also a draw. 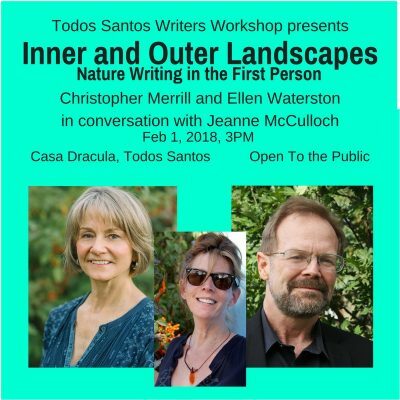 This workshop takes place from January 27 through February 3 in Baja California and is open to writers at all levels on a first-come, first-served basis after review by retreat organizers. Poetry, memoir, and fiction workshops are offered in the mornings with optional seminars in the afternoons. Evenings are “free for beach walks, town explorations, pub crawls and, of course, quiet time for homework.” Location: Todos Santos, Baja California Sur, Mexico. If I’m being honest: This one looks a little less appealing to me, mostly because it appears to be more of a beach vacation than a serious writing opportunity. However, if you write best oceanside while watching the sun melt over the horizon, Todos Santos might just be for you and I won’t judge you for that. The inaugural Solana Writer’s Retreat 2018 (May 25 – June 1) will feature an afternoon writing workshop with Literal Magazine editor and poet, Tanya Huntington, dinner with renowned Mexican author, Francisco Hinojosa, networking opportunities, time to write, a tour and lunch at a local vineyard, and much more. There are a few spots left, but the retreat is filling up quickly. Registration deadline in March 1. Prices include some meals and lodging for 5 nights. Location: San Miguel de Allende, Guanajuato. Definitely this one. Pick this one: It sounds like an extraordinary retreat, one that expertly balances opportunities for fellowship and solitude, and that seeks to connect Mexican and American writers. It’s also hosted by me (and my Solana Writer’s Retreat partner, Cynthia Carranza) and, all kidding aside, it is going to rock! This is the first of many retreats to come. We’re already considering adding a second retreat in the fall, given all the interest we’ve gotten. It takes place in March 2018, and participants are invited to discuss the work of poet and playwright, Derek Walcott, and come prepared to write new poetry and prose based on the readings. The retreat is hosted by Yashika Graham, a poet and spoken-word performer. Location: Negril, Jamaica. I confess. 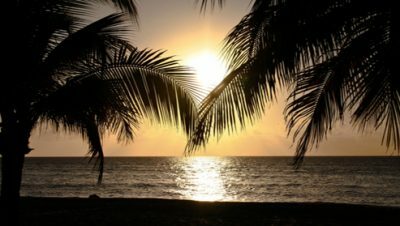 I like umbrella drinks, and the beach, and sunsets: This retreat sounds dreamy and I like the idea of featuring the work of a poet or writer as inspiration for new writing. Leave it to someone else to have all the great ideas! Like Christina Delay who realized that she could combine writing and eating-drinking-dancing all in once place. Friends, I give you the Writing Cruise…or Cruising Writers, as it is called, which partners with Carnival to offer a unique all-in-one experience for writers who want to get away without the hassle of making big travel plans. These retreats will take you to Jamaica, Mexico and the Grand Cayman Islands, and focus a little more on the business side of the industry, featuring publishers, agents and marketing experts in addition to well-known guest authors. The truth: I am a landlubber. Let’s just leave it at that. But this sounds like a really great option for the seafaring among you. I mean, you get to travel, eat extravagant meals prepared on board, and write whenever you want to? That sounds like paradise to me. But wait, you say, I want to write and get my nails done. And have a massage. And go white water rafting. And dodge tarantulas and other oversized arachnids on my way to the bathroom in the middle of the night. I don’t make up the names, folks. This is a women-only retreat in the lush mountains of Costa Rica. 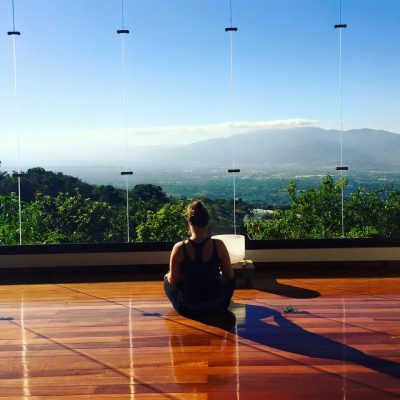 The retreat is conducted at the Pura Vida Retreat, a private 12-acre facility that offers spa amenities and optional yoga and meditation classes. For those looking for adventure, there are additional options, like kayaking, zip lining and tours of a nearby volcano. Choose from a variety of price points in terms of accommodations. On the writing side, organizers offer workshops on pitching and travel writing as well as opportunities to get published. Location: Pavas, Carrizal, Alajuela, Costa Rica. What I think: While this retreat sounds lovely–I mean who doesn’t want to downward dog on the side of a mountain?–and I like the optional excursions, I’m less interested in travel writing as a focus of a writer’s retreat. But it looks fabulous for the budding travel writer, and if my private jet needed to fuel up on the way to Argentina, I’d totally sign up. For writers of all levels, this creative writing retreat promises relaxation and writing inspiration under the Costa Rican rainforest canopy. 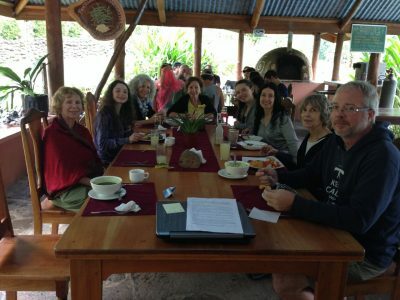 Located on a biodynamic farm 20 minutes from the town of La Fortuna, this retreat offers writing workshops each morning, manuscript critiques, and public readings. Location: Finca Luna Nueva Lodge, La Fortuna. This writing retreat is another hybrid experience, where you can write and meditate and see the sights. Led by non-fiction author Laura Davis and Iyengar yoga instructor Karyn Bristol, this retreat offers daily writing workshops, yoga classes, optional tours of the Amazon forest and the chance to give back to the local indigenous community. Location: Various sites in Peru. If you ask me: While the cost of this retreat is higher than most of the others (a minimum of $5300 for a double-occupancy suite), I appreciate the organizers’ work to support the surrounding community. A portion of the tuition is donated to a local school. 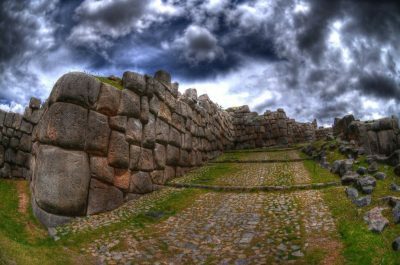 The land of Jorge Luis Borges and so many other dark and ironic writers, Argentina is a necessary stop on an adventure through Latin America’s literary landscape–whether actual or virtual. 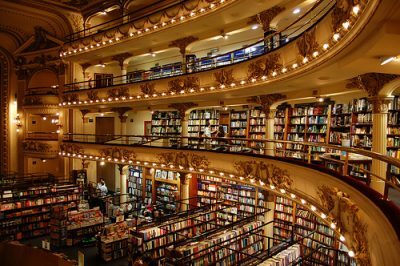 Buenos Aires alone has more bookstores per capita than any other city in the world. There’s also the Feria Internacional del Libro each spring. You could take English-language creative writing workshops at the renowned Walrus Books, catch a reading at the historic El Ateneo, considered one of the most beautiful bookstores in the world, or take a tour of the places Argentina’s most famous authors once lived and loved and wrote. 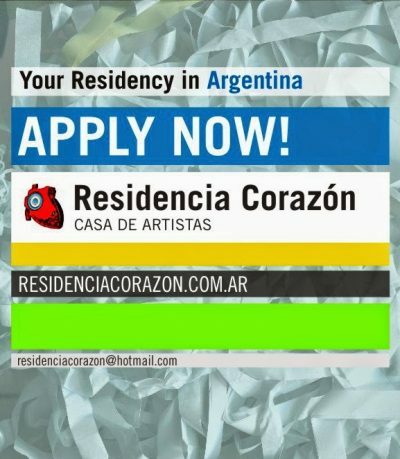 Founded in 2006, Residencia Corazón is an interdisciplinary residency program that hosts three artists at any given time for one to three months in the city of La Plata, near Buenos Aires. The organizers provide the writer (or artist) with a personalized residency experience and supportive environment. Artists-in-residence collaborate with other local artists, teach workshops, and offer public readings/exhibitions of their work. A girl sprouts magic wings, flies to Argentina to finish her short story collection, sips mate. Borges invites her to dinner and explains the meaning of a million footnotes. She dances a little tango. Dini Karasik is a Mexican-American lawyer and writer raised in Texas and Maryland. She’s also the founding editor and publisher of Origins Journal, a literary magazine that examines the art of narrative through the lens of identity. Hi Dini! 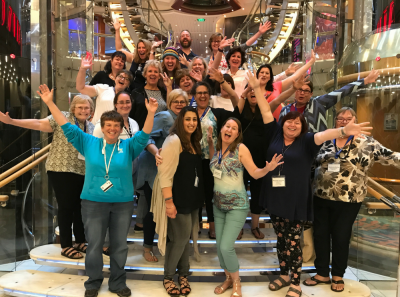 Thanks so much for including Cruising Writers in this resource list of fantastic writing retreats!